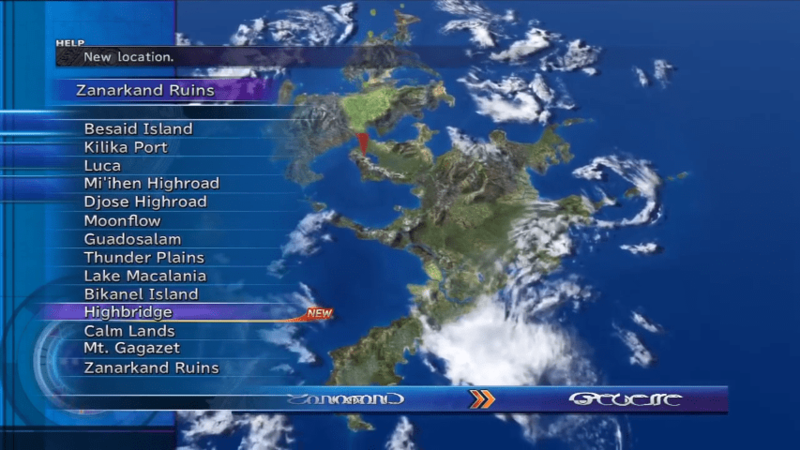 A complete walkthrough for Final Battle with Sin in Final Fantasy X (FFX), including enemies encountered, obtainable items, and boss strategy guides. Optional: Purchase Remedy from Rin. Select Highbridge as your destination. Converse with the purple hooded child. Talk to everyone on the bridge. Select “Sin” on the map. 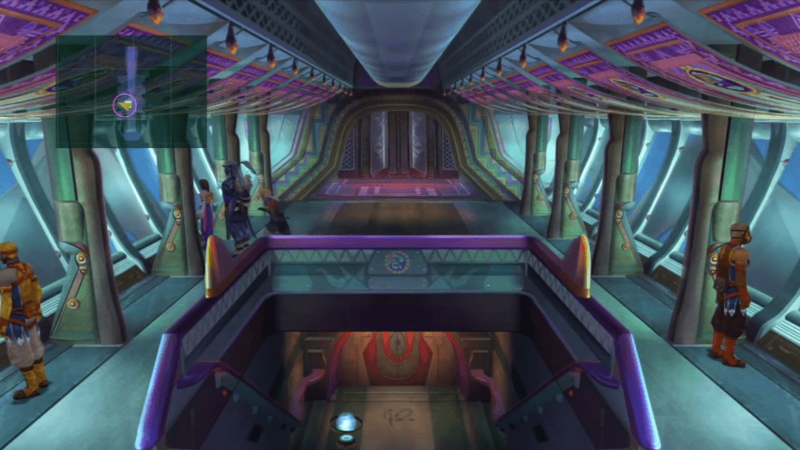 Return to the airship cabin. 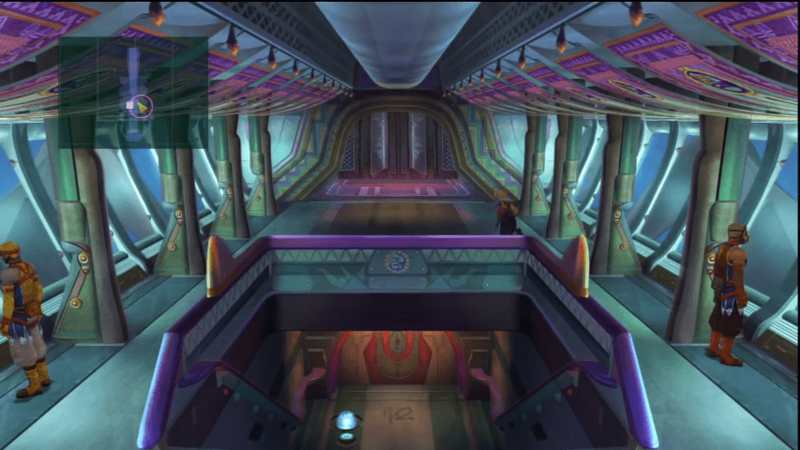 Exit to reach the airship’s exterior. Return to the lift and exit the airship interior. Retun to the airship and go to the exterior deck. You can start doing Sidequests before you proceed with the rest of the walkthrough. When you finish them, proceed to the next location by talking to Cid and select “Sin” as the next destination. A good team is Tidus, Lulu, and Yuna. Have Tidus cast Hastega for a turn advantage. Next, have Yuna cast Shell. Lulu can make up for lack of offense by Doublecasting Flare or Ultima. If you don’t have these, you can opt to summon Aeons instead. You can maneuver the ship to control your position in the fight. 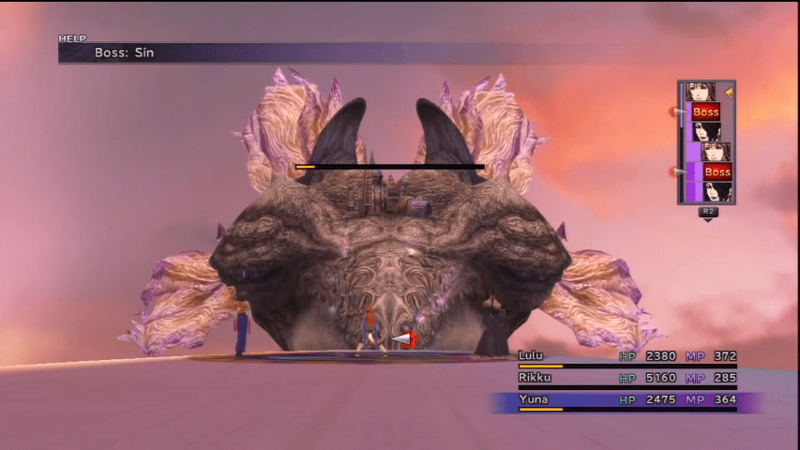 Have the ship approach the boss, then have Auron cast Armor Break and focus all your physical attacks on its fin with Tidus, Rikku, and Kimahri. After each has attacked, move the ship farther away to lessen the fin’s damage. Since both fins behave the same way, you can use the same tactic as before. Make sure to keep Haste/Hastega buffs active, and save your overdrives. Do not use your overdrives just yet. Sinspawn soaks up magic if you target Sin, so you need to take it out first. Cast Slow and Silence on Genais. With Genais, out of the way, you can channel your attacks on its weakness. 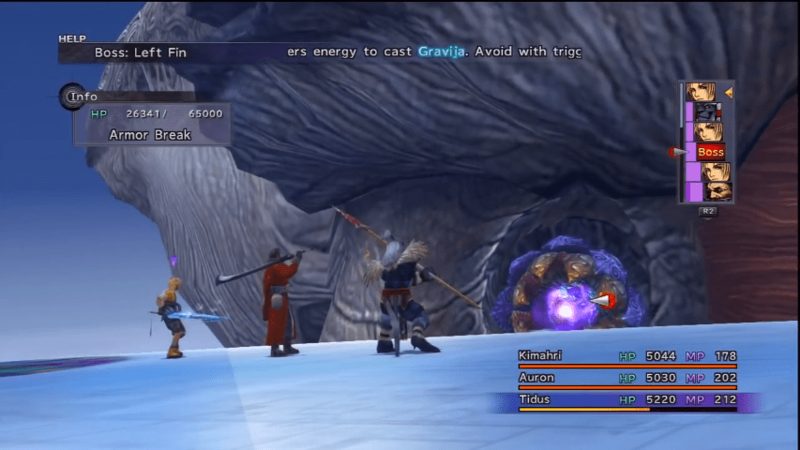 Have Auron use Armor Break and follow with physical attacks. Another way is to use Rikku or Kimahri as your third member. Similar to the previous battle, Lulu should Doublecast Flare or Ultima. Then, Yuna follows up with Holy. The third member will then copy Holy. Rikku, in particular, can double as a support with Al Bhed Potions to lift status ailments. You still have ample time to rest and switch gear before this fight. Equip gear with immunity to petrification with traits like “Stoneproof,” and customized equipment with “Confuseproof” or “Zombieproof.” Gears with Ward are good alternatives but they only trigger randomly. You should also buff your party’s Agility and Strength before you challenge this boss. 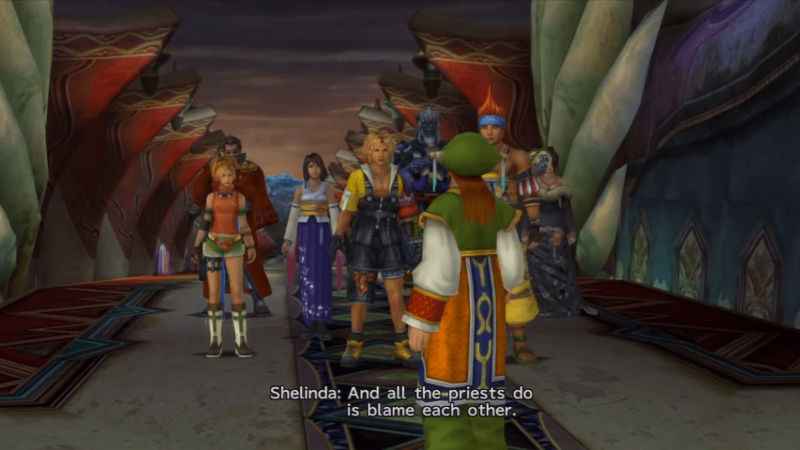 Again, Tidus, Yuna, and Lulu work best. 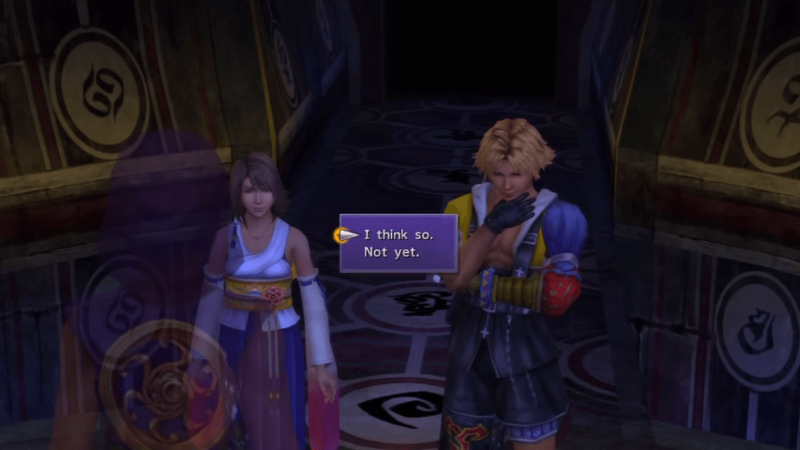 When the fight begins, have Tidus cast Hastega, have Lulu follow up by Doublecasting Flare or Ultima, and have Yuna cast Holy. 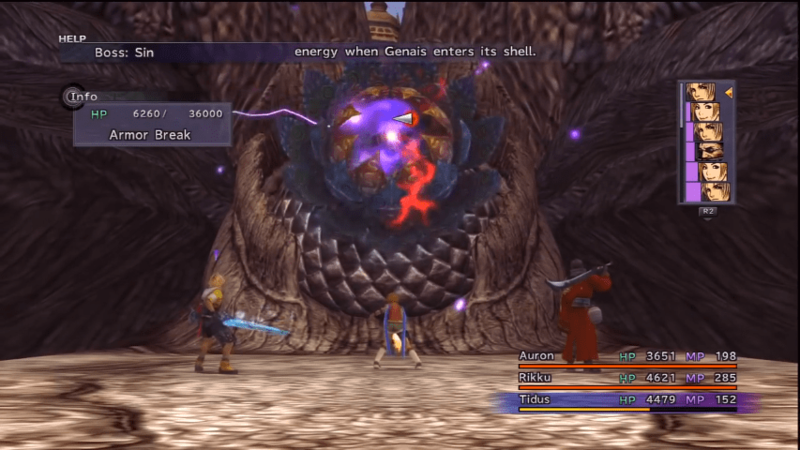 Tidus can then support by removing any ailments should one of the members become affected. Swap in Wakka and have him use his Aurochs Reels Overdrive. Kimahri can then use Fire Breath. Have Rikku perform Spare Change and use 100,000 gil for some massive damage. 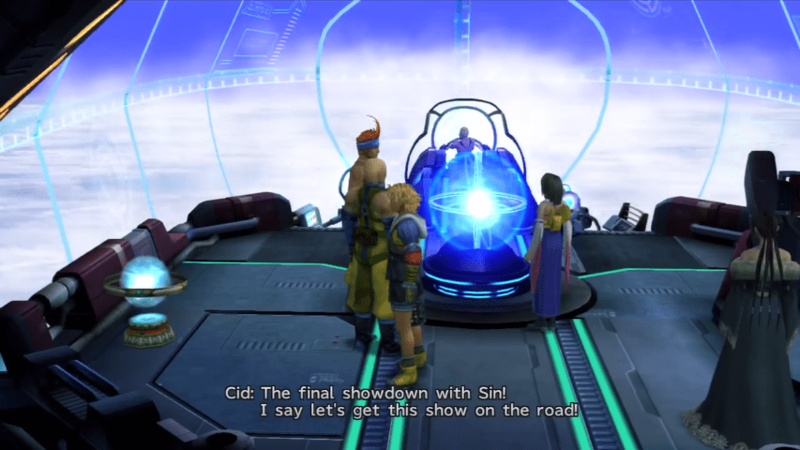 When the fight nears a close, have Tidus, Auron, and Rikku unleash their overdrives. 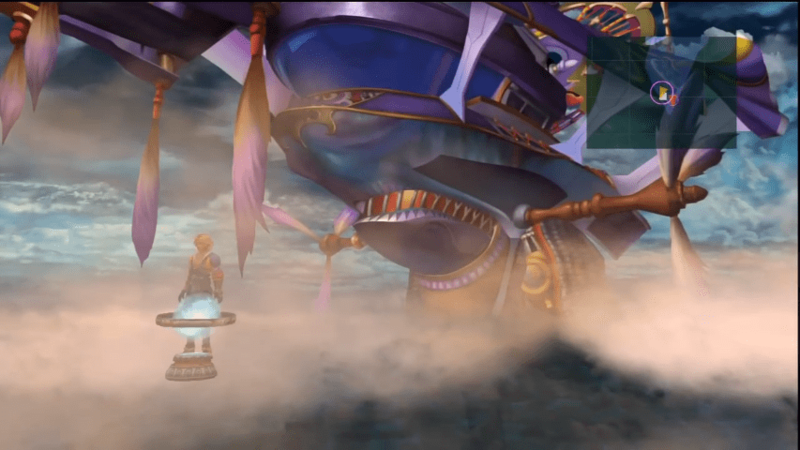 Should you anticipate an overdrive about to come out, have Yuna back on the frontlines and intercept it with an Aeon.